I have a friend who sometimes has this for her profile picture on Facebook. Except she cut out the alien's cute face and inserted her cute face, all bundled up and looking miserable. It always makes me giggle. And today? It's true. The air hurts my face. And even though it hurts, it still makes me giggle. 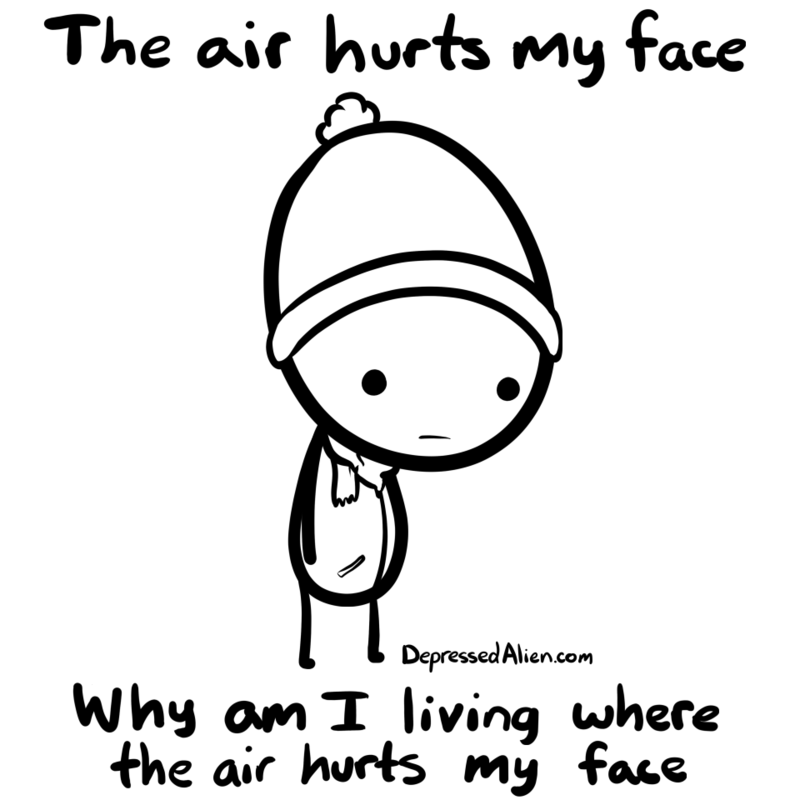 And why ARE you living where the air hurts your face? Because I like it here, silly.